The Something Beautiful novella is part of the Beautiful series by Jamie McGuire. This is the story of the spunky America and lovable Shepley. From the early blurbs I’ve seen, this book will tell the story of that road trip which America and Shepley took right about the time the accident occurred in Eastern University, which prompted Travis and Abby to make that immediate trip to Vegas. For sure the fans of the Maddox boys will be delighted to sink their teeth into this. With that and the beautifully eerie book covers, I bet you’ll get really intrigued with their story. As for the fans, I think they’ll agree with me in saying that we’re extremely excited for the release of the final book which would give us answers to the tons of questions we have lined up. But for now, there’s no harm in re-reading Never Never (Part 1) and Never Never (Part 2) while we wait. I’ve been a big fan of Patrick Ness ever since I read his Chaos Walking trilogy. I think it’s one of those understated series which will definitely blow you away once you start it. After that I read A Monster Calls which was equally moving. 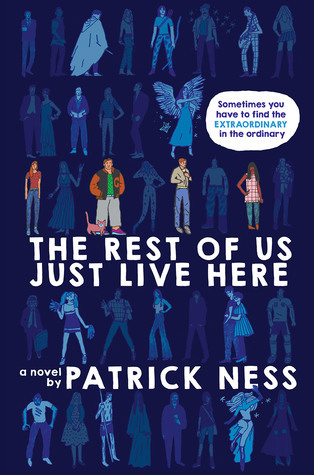 In his latest release Patrick Ness plans to wow us with his coming of age fantasy novel The Rest of Us Just Live Here. Check out more of the plot here. Originally a pivotal part of one of Rainbow Rowell’s best-selling novel Fangirl comes the fantasy novel Carry On. It’s the story of Simon and Baz. Want a better way to describe it? Carry On is a ghost story, a love story, and a mystery. It has just as much kissing and talking as you’d expect from a Rainbow Rowell story — but far, far more monsters. Fans of Rainbow Rowell are extremely familiar with Simon and Baz since we fell in love with them at the same time we fell for Cath and Levi. Here, we not only get a glimpse of Simon Snow’s world but we have the chance to get fully immersed in it. I’m looking forward to more quirky banters and quips and goblins and ghouls. 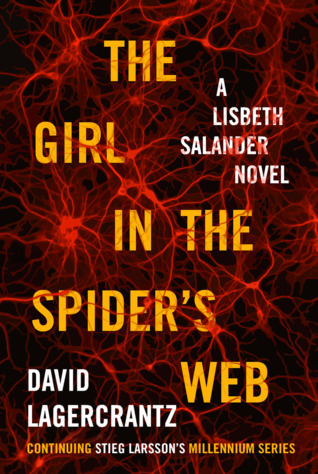 Lisbeth Salander is back in the fourth installment of the Millenium series. This time her story is told by David Lagercrantz, known for Ultimate High: My Everest Odyssey. There are a lot of issues surrounding the release of the fourth installment in this series, especially with the untimely death of Stieg Larsson. But as a fan of Lisbeth Salander I can’t help but also look forward to the continuation of her story. Definitely there will be expectations and of course differences in how Lagercrantz writes Salander’s journey, but that’s something I’m still positively excited to be part of. Those are just some of the books which I’m looking forward to buy, Lord knows I have a lot on my list. Let me know if those made your list and share your other anticipated book releases.